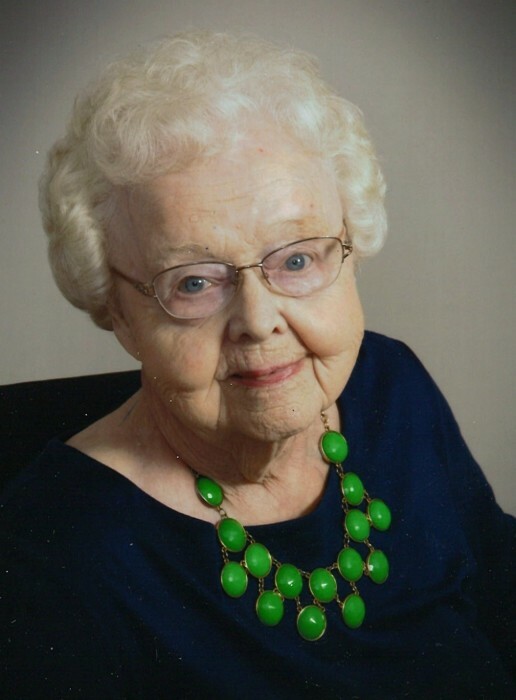 Lorraine E. (Nagle) Burke, 93, of Long Grove, died Saturday, February 2, 2019 at her home. A Mass of Christian Burial will be 10:30 a.m. at St. Ann’s Catholic Church in Long Grove. Burial will be at St. Ann’s Cemetery. Visitation will be 3:00 p.m. – 6:00 p.m. on Tuesday and 9:30 a.m. – 10:30 a.m. Wednesday at the church. Memorials may be made to St. Ann’s Catholic Church or North Scott Education Foundation. Lorraine requested those attending to wear something green in her honor. Halligan-McCabe-DeVries Funeral Home in Davenport is assisting the family. Lorraine was born August 16, 1925 in Long Grove, the daughter of James R. and Roma E. (Meier) Nagle. On November 21, 1970 in Davenport she married the love of her life, Thomas E. Burke. He preceded her in death on November 7, 2005. Lorraine was a graduate of Marycrest College. She began teaching in 1943 in a one-room school which included grades K-8. Throughout her career, she taught at Allens Grove #1, Winfield #2, John Glenn and Alan Shepard. Lorraine retired from teaching in 1990. Lorriane loved new cars, clothes, birds and shopping. She enjoyed reading and working crossword puzzles. Lorraine was past president of the Scott County and North Scott Teachers Associations; long-time president of the Long Grove Civic League. Lorraine is survived by her siblings, Larry (Lois) Nagle of Long Grove and Carol Nagle of LaPorte City, Iowa; sister-in-law, Janet Nagle of Eldridge; 12 nieces and nephews; step-son, Bill (Sally) Burke of Kansas; two step-grandchildren and four step-great-grandchildren. In addition to her husband, she was preceded in death by her parents; siblings, Mary, James “Bud”, Harold, Wayne, Dan, and Sonny; niece, Cindy Nagle; and great-niece, Brittany Buss.